This seed is great for several reasons. First of all, you spawn on a desert island, right next to a grassland island with a village on it. First awesome thing about this seed. 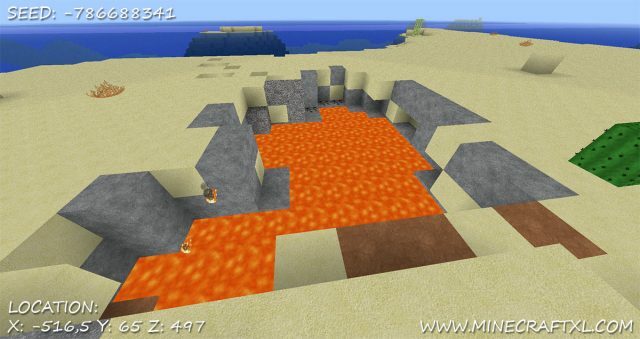 Next, on the desert island that you spawn on, there’s a lava pool, making it a very useful island after all, despite being pretty barren otherwise. 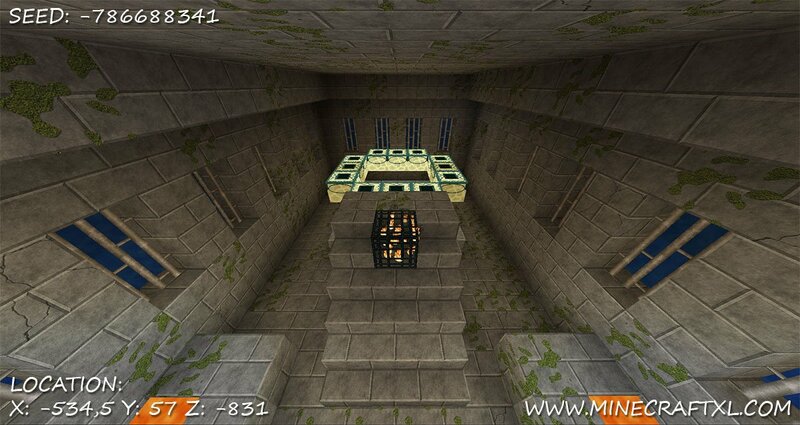 But that is not all, in the water outside the island with the village on, you will find an end portal. And we are not done yet. 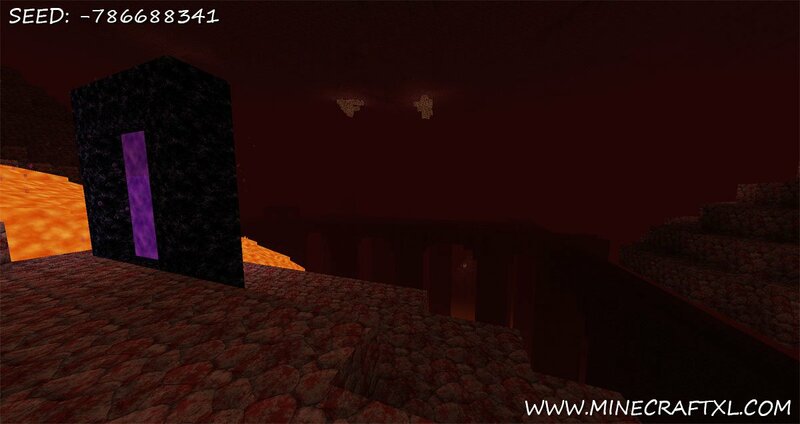 If you build a netherportal in the back room of the end portal room, you will build a portal leading right to a nether fortress! This seed pretty much has it all, and it’s hard to imagine a better seed than this. Rumor has it that there is also several mine shafts hidden beneath the island village, and in the surrounding oceans, but I have yet to find them. It would be hard to craft a seed better than this by hand, it really has it all, and players beginning here will have many perks from the get go. So go ahead, build your new island empire here, the monsters won’t know what hit them. 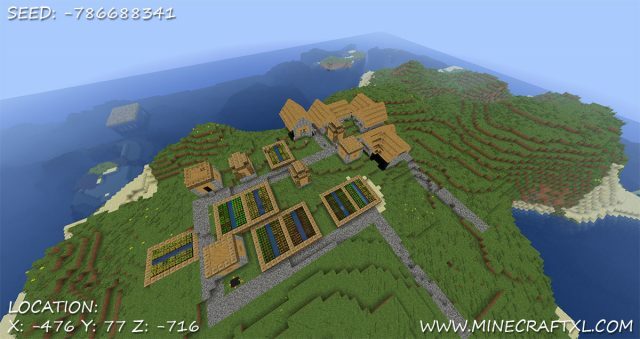 Please leave a comment if you find any other cool stuff in this seed, there’s bound to be more.